It’s elegant, coming with a style that looks like it was borrowed from the signature accents of cowboy boots and Elvis Presley’s iconic jacket. 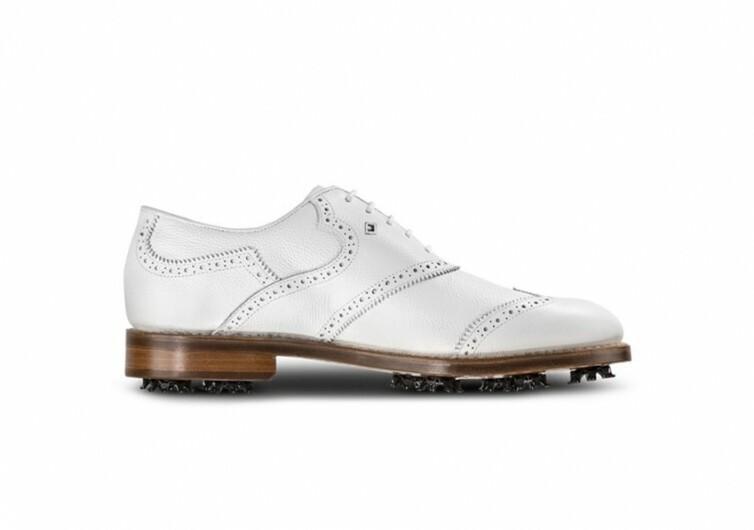 The Shield Tip can easily pass as a classic leather formal footwear, except that it comes with grips on the outsole that let the wearer plant it firmly on the greens and fairways of the world’s greatest golf courses. This golf shoe promises to give golfers – amateurs and pros alike – a unique blend of luxury and performance on the greens. 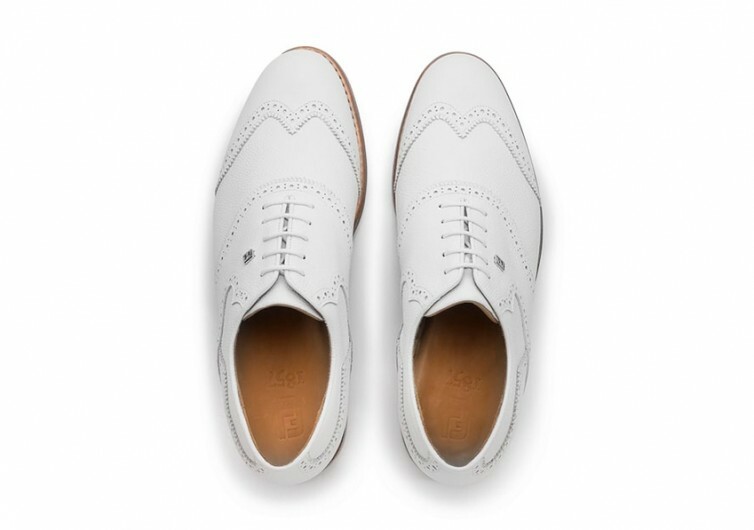 With its white upper that is made from exquisite calfskin leather, the Shield Tip truly exudes style and confidence. Small and medium-sized holes are arranged in a pattern, following the Sawtooth edging of the mid-upper panel of the Shield Tip’s main body. 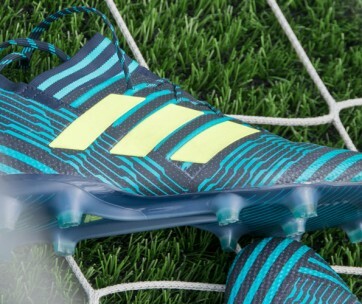 These are what give the very faint yet equally admirable contrast to the sea of white. Even the lace system is in pristine white. The equally elegant outsole of the Shield Tip comes with the famed Goodyear welted construction which effectively creates a cushiony interior for the feet to rest on. 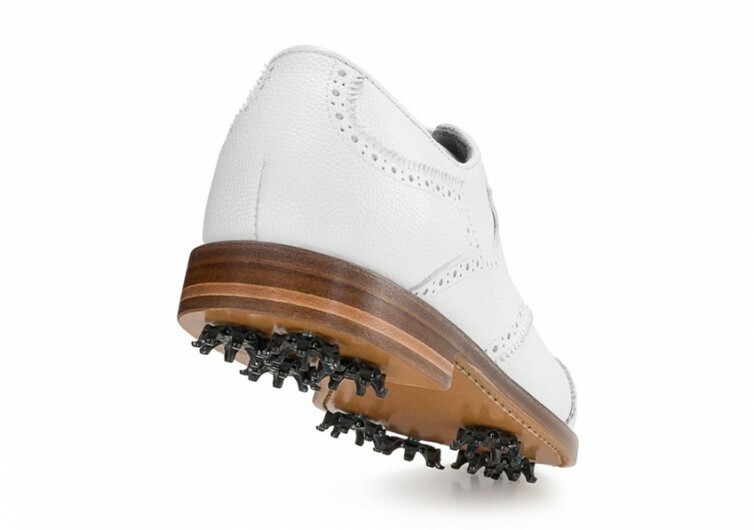 The cushioning system is made of a cork underlay, giving you comfort as you take a swing at the golf ball. 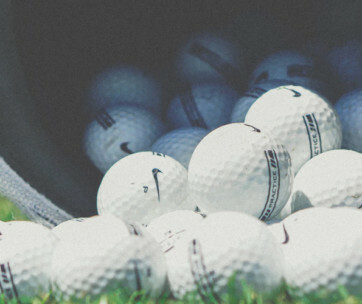 Planting one’s feet on the fairways as you aim for the tee should be fairly easy as you don’t have to worry about undue pressure building up under your soles. The inner lining also comes with full leather materials, breathing life into your feet while giving the Shield Tip another point for elegance. 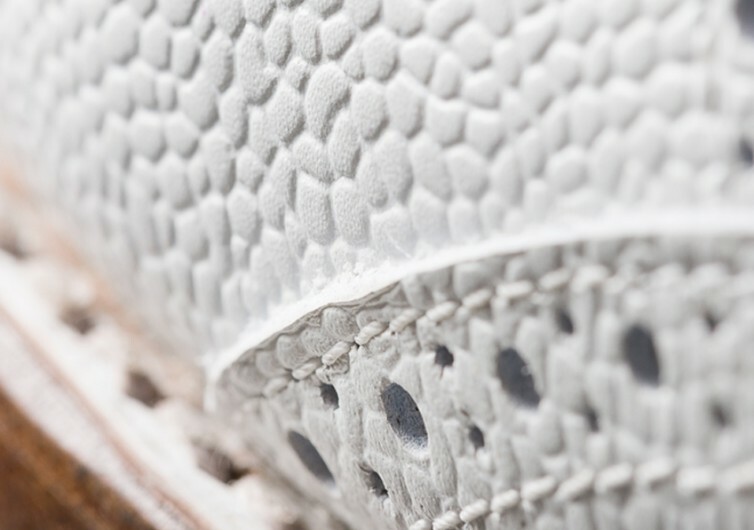 The ground-gripping nubs on the surface of the outsole keep your feet firmly planted, like a stake through the Earth. 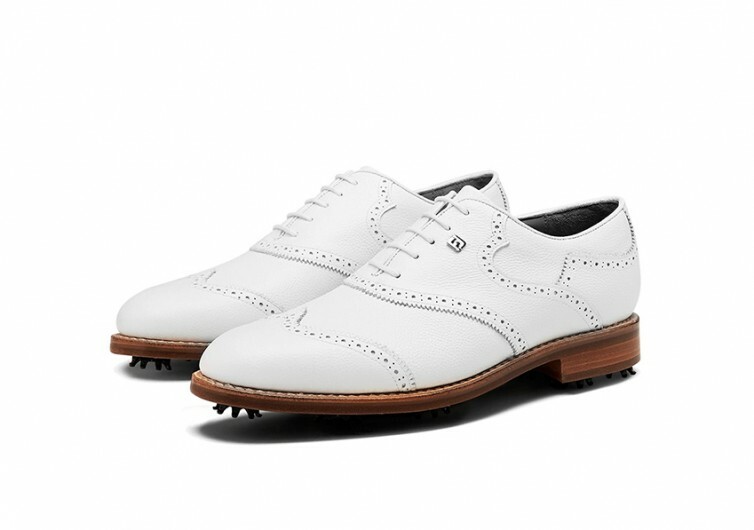 Playing a game of golf doesn’t have to mean you can forget about wearing an elegant footwear. 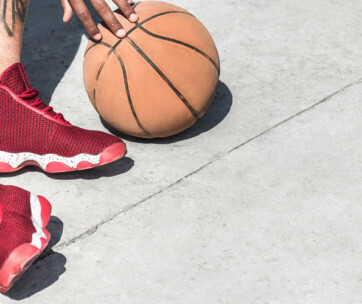 The Shield Tip gives you that while ensuring you’ve got stability under your feet.